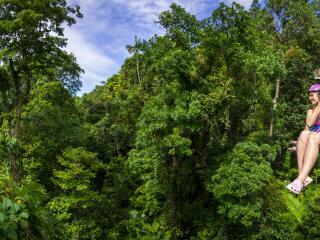 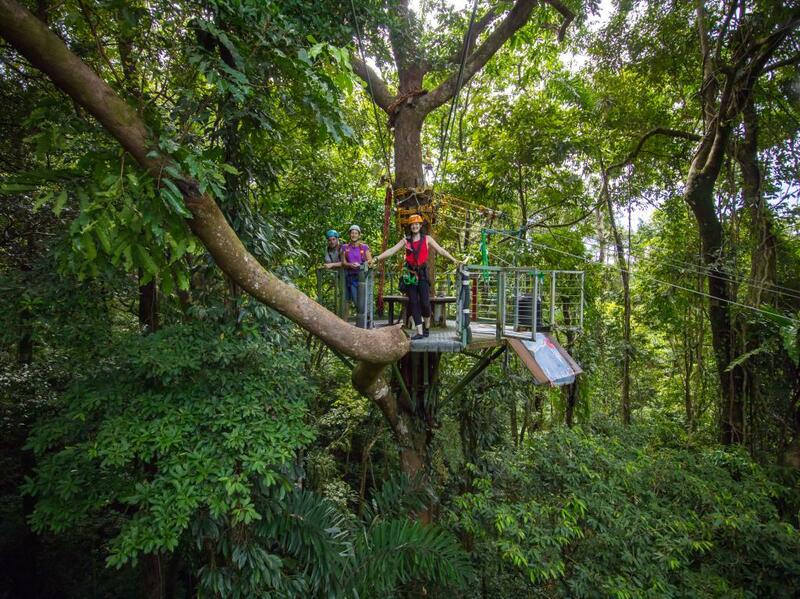 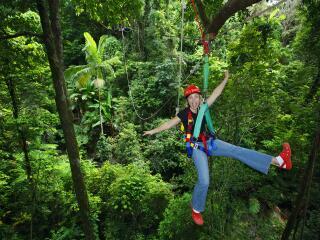 Unique to the Daintree Rainforest, Jungle Surfing Canopy Tours offers touring options that will take your breath away. 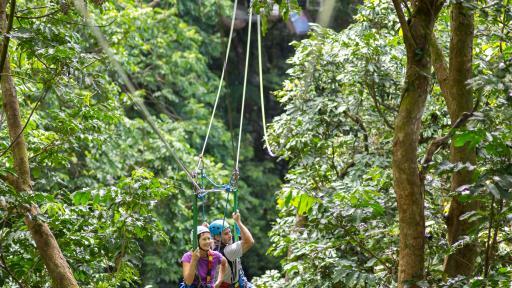 The choice is yours, see the rainforest flying through the canopy top on a zipline or rustle along the canopy floor witnessing the wonders that occur after dark. 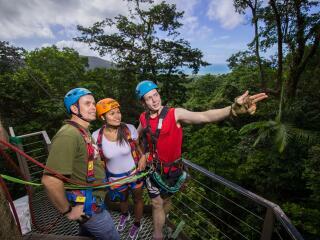 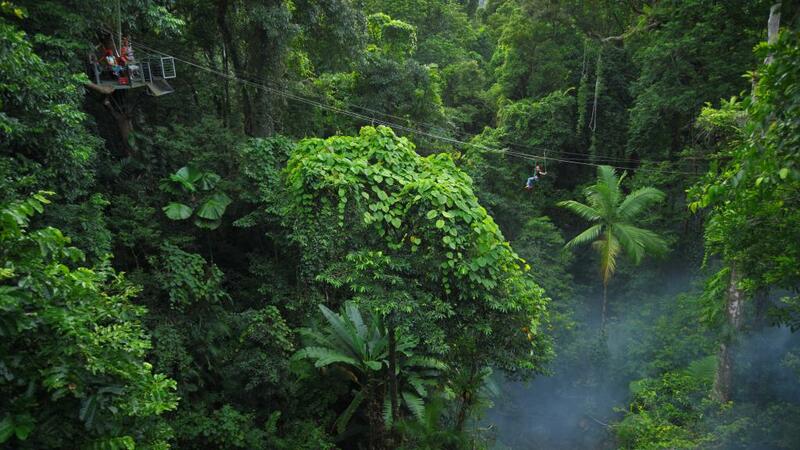 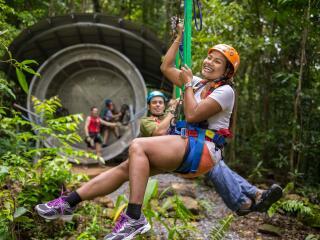 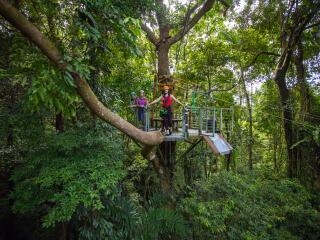 Jungle Surfing Canopy Tours: This has to be one of the most exciting way to see the World Heritage Daintree Rainforest. 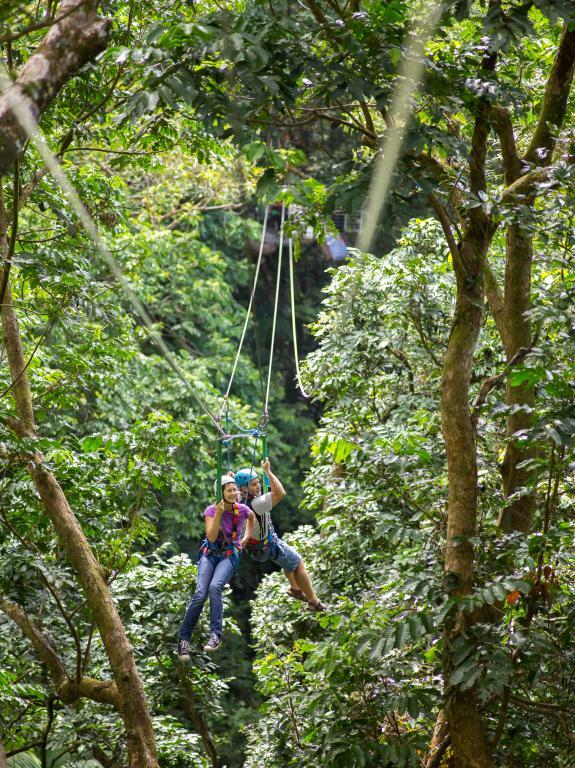 Your experience begins once you have had your harness fitted and you use the power of your feet to move fellow jungle surfers to the first tree platform via the "Human Hamster Wheel". 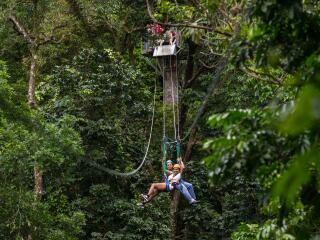 Once in the tree canopy, saw along ziplines between six tree platforms. 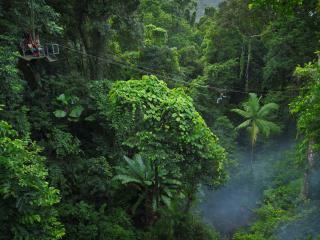 Each platform showcases a different level of the rainforest canopy. 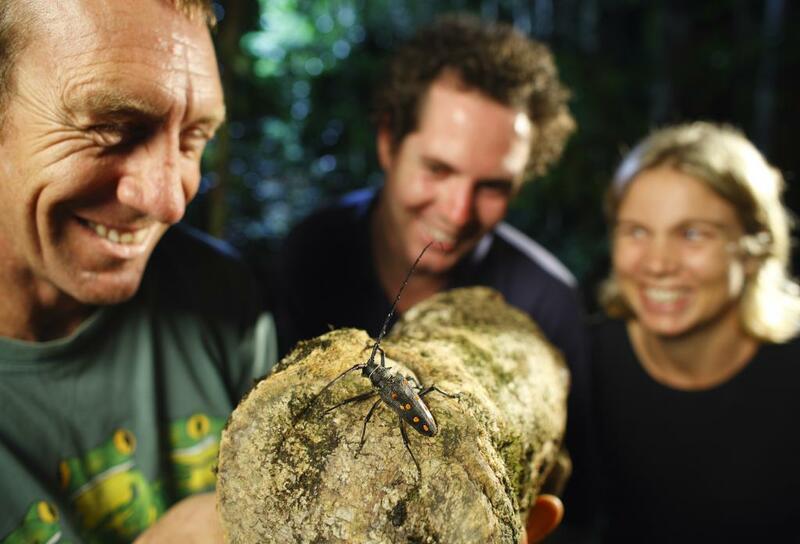 Experienced guides are on hand at each platform to provide you with an insight into the bio-diversity and marvels of the rainforest. 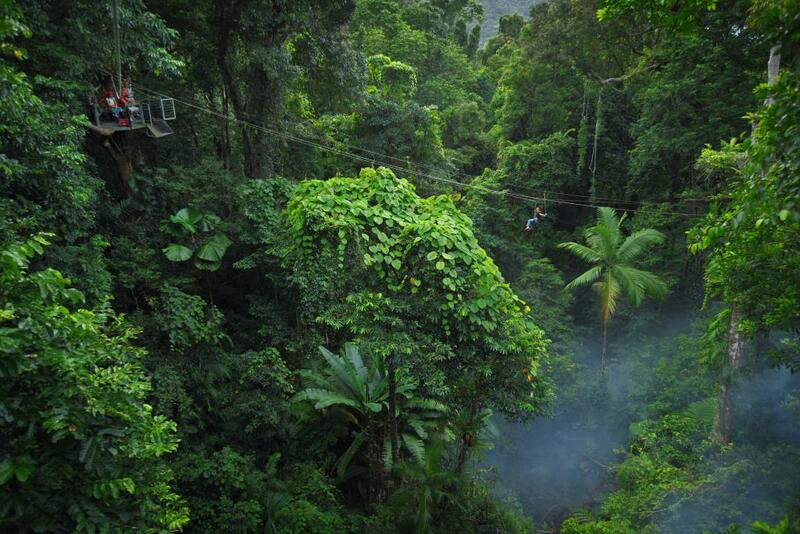 Go fast, slow or upside, the choice is yours. 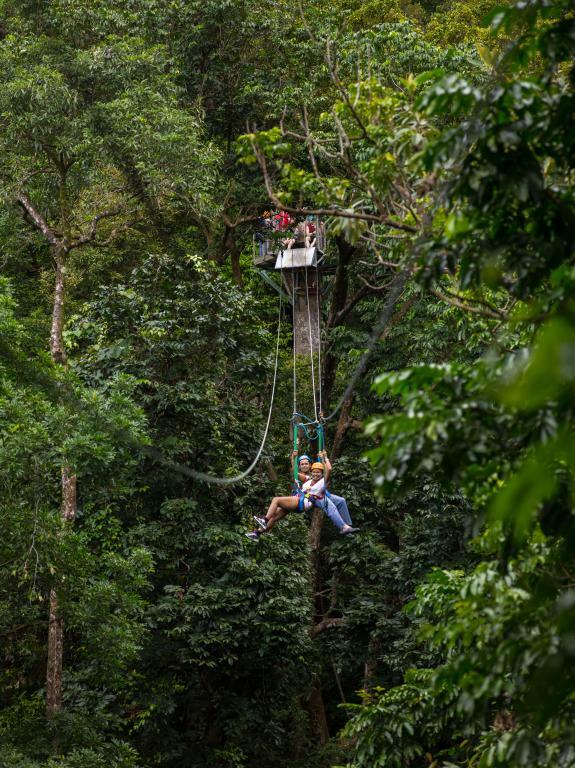 The guides control the course and can limit your speed. 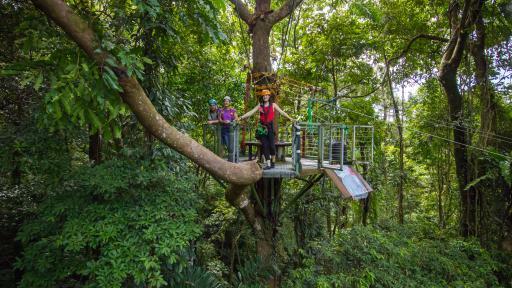 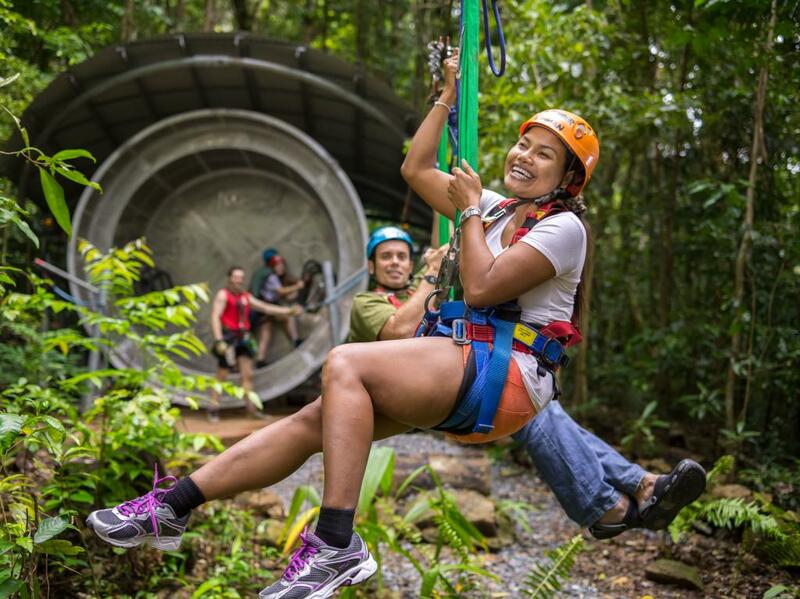 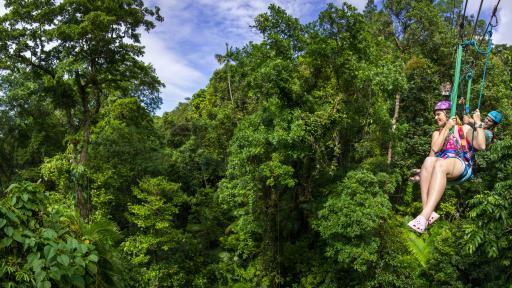 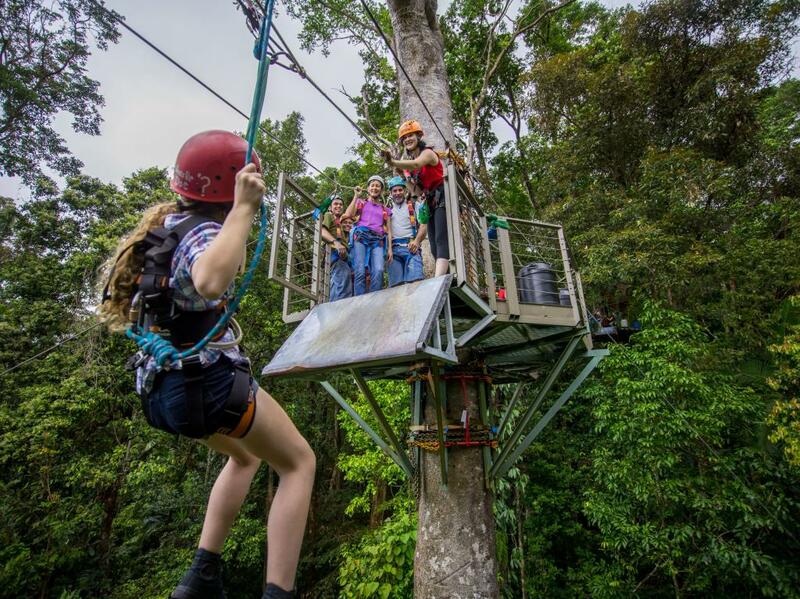 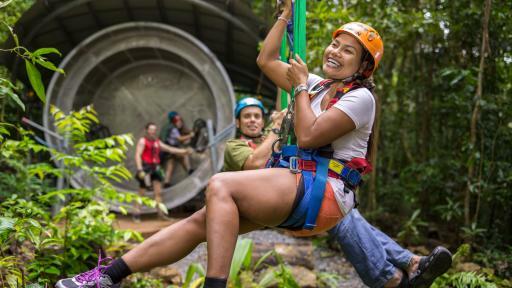 Nightwalks Jungle Adventure: Prepare to witness the wonders of the Daintree Rainforest as Jungle Surfing Canopy Tours takes you into a world where there has been little change for 120 million years. 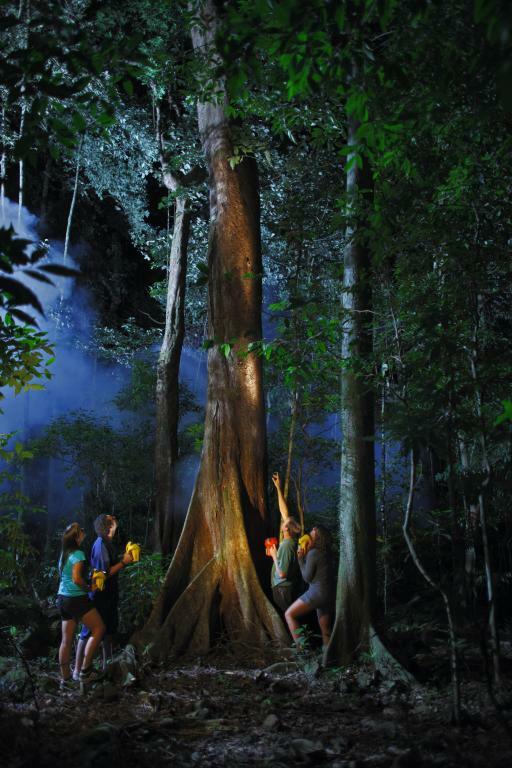 As a small tour group see the rainforest come alive after dark. 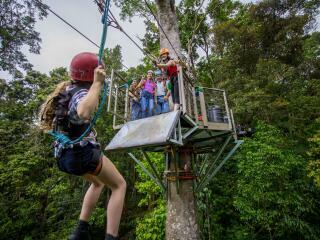 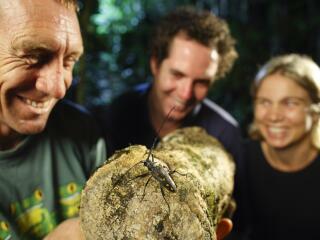 Encounter forest mammals including bats and possums, see sleeping birds and rainforest dragons. 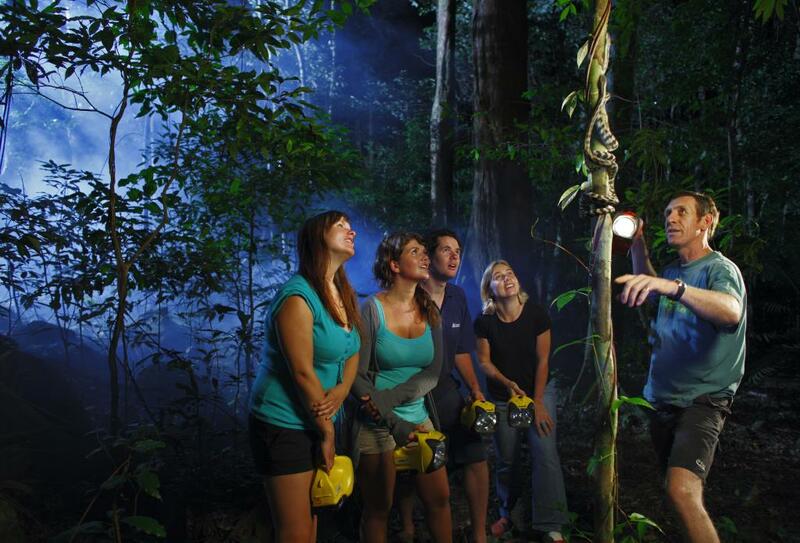 Find species of spiders and insects and slithering snakes as they wrap themselves around the tree trunks. 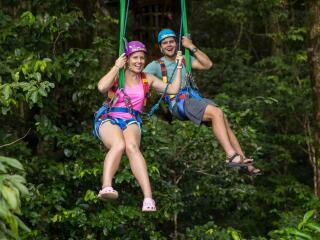 Jungles Surfing Canopy Tours: Daily departures from 7.45am to 3.50pm. 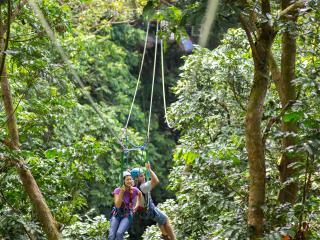 Tour duration 1.5 - 2 hours with at least one hour up in the canopy. 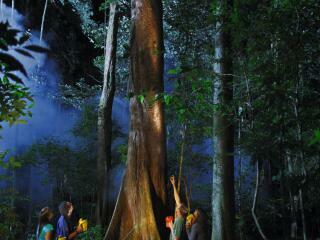 Night Walks Jungle Tours: Daily departures 7.30pm. 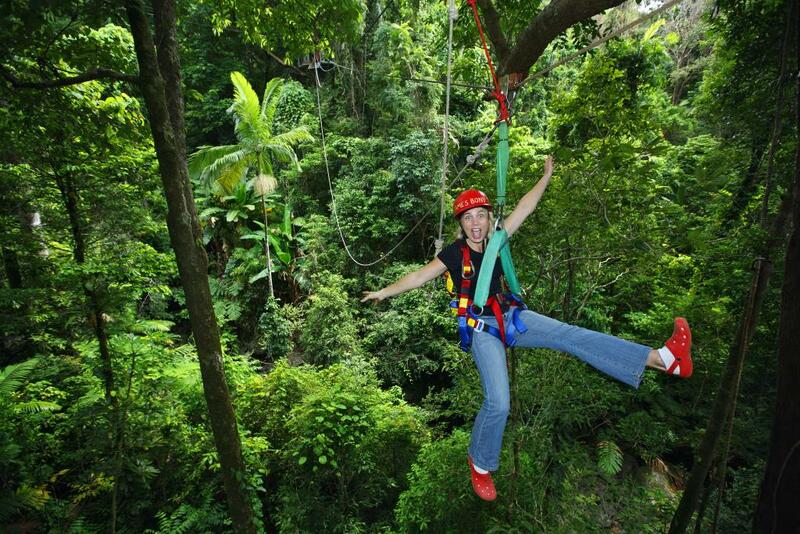 Tour duration 2 hours with at least one hour up in the canopy.